You don’t have to be Irish to know, having a family who loves you is lucky indeed. 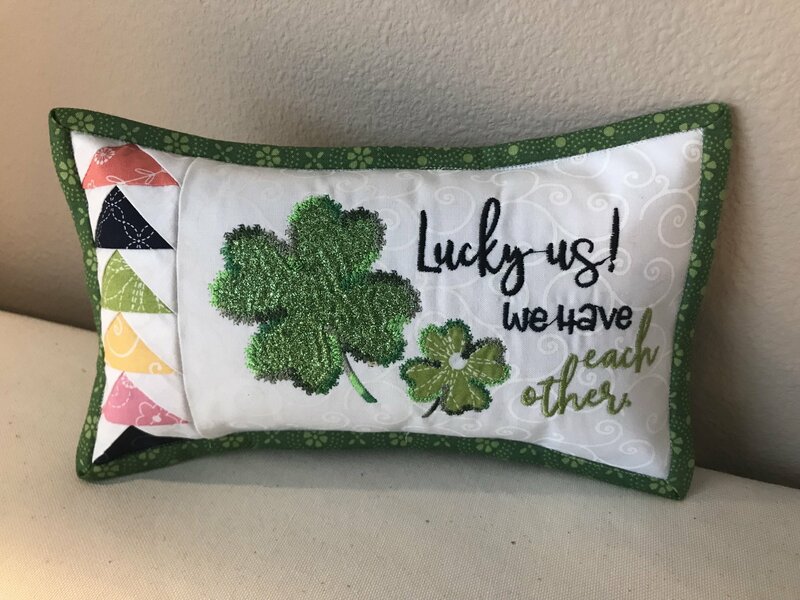 Four-leaf clovers of glitter and fabric applique with a pieced strip of flying geese blocks make it in Feb so you can celebrate in the month of March. Purchase of design from Sandy's Fabrics and Machines.